The following was written for Dubai Design District and was posted on the d3 website on 6th April 2015. For the past couple of years, Dubai Design District (d3) has been a bit of an abstract concept. I’d drive by it almost daily, seeing it rise, but not sure who will move in, what will be the added value of this "district" to the city and its people. In a city of full of mini cities (Internet City, Media City, Studio City, Dubai Industrial City, Dubai Academic City), the choice to call it Dubai Design District is worth paying attention to. A "district" is more of a neighbourhood, a community – much smaller than a "city". And that turns out is a clue of what to expect from d3. Meet d3 was a three day event that aimed to introduce the district and engage with the Dubai community. To make its mark on the map and in people’s consciousness by saying "we’re open and ready for business". I attended all three days, the programme was extensive which included music, fashion, art and family friendly activities – featuring local, regional and international names and brands. I personally treated it as a mini music festival, but I also walked around and spoke to people, asking them what they thought of the event and the place. It felt like a new chapter in Dubai was unraveling before our eyes. It felt like a new space for the creative community. The programming and curation of Meet d3 reflected an eclectic taste that suits Dubai and its people. There was something for everyone, which you don’t see or feel at a lot of events in this city. There was an energy that I had not felt in a long time and I hope it will carry on after the event. 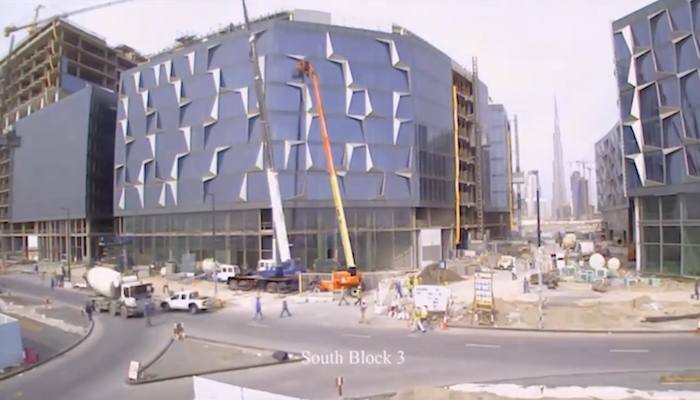 I am looking forward to seeing how Dubai Design District takes shape once its occupants move in. We’re expecting a wide range of companies and brands moving in, which will include designers, architects, retail and F&B. We’re seeing a new district taking shape right before our eyes and Dubai’s creative community can’t wait to see what it has to offer.